June 27, 2017, 10:43 a.m.
By Nicholas Quah June 27, 2017, 10:43 a.m. Welcome to Hot Pod, a newsletter about podcasts. This is issue 125, published June 27, 2017. Just announced: PRI’s Studio 360 is moving to Slate. Wait, what? According to the press release that dropped into my inbox this morning, PRI has formed a new partnership with Slate that will see the digital magazine take on Studio 360, the culture show hosted by Kurt Andersen (he of Spy magazine fame), where it will try to expand the program’s podcast development and digital distribution. As part of this new partnership, Studio 360 is physically moving its staff into Slate’s offices in downtown Brooklyn. The show was previously co-produced by PRI and WNYC, and it will still be distributed through 214 public radio stations across the country — including WNYC — where it reportedly reaches about 600,000 weekly radio listeners. The press release doesn’t make clear what the structure of responsibility looks like, but I’m guessing that this means Slate is directly assuming WNYC’s share of staff and production costs. This is a peculiar development in a bunch of ways. For one thing, Slate now has a show in its portfolio with a hefty broadcast presence, and for another, this comes not too long after the digital magazine was hit by a round of layoffs. For WNYC, it’s a pretty significant departure, as the show was housed at the station for the past 18 years — where, as plenty of WNYC alumni would tell you, the program has served as a starting point for many a WNYC intern and early-career staffer. You can find the actual report here, but before going over the big findings, frame your reading with the following point made in the methodology: the reporting process involves compiling “a database of the 20 largest podcast advertising revenue generators. Companies surveyed are believed to make up a significant amount of the overall market, but they are not meant to estimate the entire market.” Which is to say, it is to some extent self-reported (though validated by a contracted third party), as Variety sassily points out. (AdWeek has a more vanilla write-up.) Nevertheless, the study states that it’s the same methodology used in its long-running assessments of internet advertising revenue. That context should be kept in mind when thinking through the representativeness of these numbers. Podcast ad revenue is projected to beat $220M in 2017. Previously, the most cited projection came from Bridge Ratings, which recently revised the number up to closer to $250M. The methodology for that study is unclear. More interesting is the year-over-year growth: podcast ad revenue apparently grew 72 percent between 2015 ($69 million) and 2016 ($119 million), and with the current 2017 projection, the 2016-2017 growth rate is expected to be 85 percent. That’s pretty substantial by most standards, though the baseline number is comparatively small to begin with. Dynamic ad insertion, at least for the “20 largest podcast advertising revenue generators,” grew 51 percent in use between from 2015 and 2016. Direct response ads slightly decreased in share in terms of overall ad campaign type between 2015 and 2016, providing some evidence for claims that podcast advertising is slowly but steadily diversifying away from a pure reliance on DR advertisers. But it’s still the dominant majority. I don’t think there are any particular revelations contained in the study — if you’ve been following the industry closely for a while, a lot of this simply serves as validation for the piecemeal bits of information we’ve already been getting. I’d say the actual story here is about the study itself; we now have, for what it’s worth, an official consolidated baseline, and it’s less about what it tells us about now and more about what it will tell us in the quarters to come. “Nickle and Dimed.” If there’s a big takeaway from last week’s item on the podcast industry’s view on the upcoming Apple in-episode analytics, it’s the sense of a rough industry consensus over the meaning of the development: broadly speaking, it’s a good thing, something that the professionalizing portion of the community is looking forward to, and a harbinger of positive things to come. But while that view forms the core position of those who seek to professionalize and further build out the industry, there are alternate perspectives from other corners of the community. Over the past few weeks, I’ve heard concerns — some delivered quietly, some not so much — about the slippery slope this development might be setting the entire ecosystem down. The most prominent of these is a view that strikes at the heart of the space’s identity as a whole — what will become of its openness to independents and upstarts? The best articulation of this position I’ve found comes from a reader who operates an independent hobbyist podcast network, with shows that garner between 15,000 to 30,000 downloads an episode. We have been able to take our audience of tens of thousands and match our old advertising income through Patreon, which surprised me but was a great discovery for us. I don’t know how well that can scale, and I also don’t have a good sense of how dependent the success is on your subject matter. E.g. : Are you going to have an advantage seeking direct funding from your audience if your podcast is about a subject whose audience has money to burn (eg: tech, geeky consumer stuff)? I imagine that a possible counter-argument comes from an idea that better analytics would be able to provide indie publishers with better intelligence to create better programming and calls to action that could grow their advertising and/or Patreon conversion channels. But I think it’s also worth balancing that out with the fact that deciphering, testing, and implementing intelligence gleaned from such data requires time and resource costs on their own, and that it becomes yet another difficult resource allocation choice that an indie publisher must make. HowStuffWorks announces West Coast — and comedy — expansion. The East Coast podcast giant is spreading outward: last week, the infotainment company released details of its fledgling Los Angeles operation, which it will operate in the physical vicinity of Midroll, Maximum Fun, the Nerdist, and the wider entertainment industry that inhabits the region. The new West Coast operation also highlights a new strategic direction for HowStuffWorks, which has long developed a strong base off principally personality-driven infotainment and trivia-oriented programming. With its new explicit focus on comedy, the expansion throws the network directly into a part of the podcast ecosystem that’s relatively more well-trod and competitive, though probably more lucrative. It’s also a move that will likely increase the company’s appeal to a whole new set of audiences. Interesting times ahead for HowStuffWorks chief Jason Hoch and his team. Let’s see how this shakes out. NPR rolls out It’s Been A Minute with Sam Sanders, a project that’s a little hard to explain other than to say it’s a vehicle built around Sanders, who emerged as a breakout talent during his tenure on the NPR Politics Podcast back when the 2016 presidential election campaign was still running hot. (Man, that feels like eons ago.) The podcast follows a twice-a-week publishing schedule, with Tuesday editions serving as deep dives into a single topic or individual conversation and Friday editions functioning as catch-all variety shows that sum up the week. The project has gotten some solid coverage already — in particular, I recommend the Q&A at the Columbia Journalism Review, which offers good insight into Sanders’ general show philosophy — so I’ll save the space. But I’ll say this: It’s Been A Minute could easily function as NPR’s flagship news product for the on-demand audio space, more so than its actual daily morning news digest, Up First. And while we’re on the subject of the public radio mothership… During the Public Radio News Director Incorporated (PRNDI) conference last week, NPR news director Michael Oreskes announced “plans to roll out a regional hub system.” Poynter has the writeup, where Oreskes notes that he envisions “more than four and less than 12 hubs around the country.” And here’s the transcript of the remarks, if you’re looking for full context. What does that actually look like in terms of policy, strategy, and accountability measures? Where will the money come from? (How will it be raised?) How will this change the relationship between member stations and NPR — to what extent will these ease, deepen, or restructure the way in which both parties compete for and expand their respective audiences? We’ll have to wait to find out, and here’s hoping for a public document to dig through. As a side note…I hear that NPR union negotiations are currently underway. Something to keep an ear out for. Tom Webster, Edison’s VP of strategy, who presented the findings at the summit, framed the context of the device: the smart speaker is a device that’s become essential for a thousand of little things within the flow of the user’s everyday life. That, I would add, is a strategy of slipping into the life of a potential long-term user that’s not unlike the smartphone. Alexa may well maintain its lead in the smart speaker market. It may even grow. Maybe HomePod will be a complete bust. But even if all of that happens, the smartphone will remain the dominant device in people’s lives. Something will eventually replace the phone, but smart speakers aren’t it. Hardware just isn’t where Amazon is good. More discussion to come, after the webinar. One going rate for branded podcasts. Chris Boyce, a principal at the Canadian branded podcast shop Pacific Content, caused a little hubbub during last week’s RAIN Podcast Business Summit when he dropped some lofty numbers for the amount they charge brands to make podcasts. “Quality branded podcasts cost about $1,000 a minute to produce,” he reportedly said on-stage. The cost-per-minute metric struck me as a little strange — less so the price, to be honest — so I followed up to ask for more context. We do custom pricing on every project we take on. There’s so many factors that have an impact on the final cost… format, host, amount of research required, production costs like travel, rights clearances etc. So a per minute cost certainly is an imperfect way to price out a production. But you’ve got to start somewhere. And potential clients need some ballpark of what they might be getting into if they’re looking at producing a podcast. And a per minute figure is easy to wrap your head around. So we tell them that our pricing starts at roughly $1000 a minute. Many of our projects are more. But again, it depends on what the show requires. This is the cost to the client, not our cost to produce one minute. And again, it’s not a hard and fast number, but a starting point. Dispatches from the Cannes Advertising Festival. The lavish annual gathering of various well-suited advertising, media, and marketing folk in the French Riviera — did I get that right? — took place over the past few weeks, and I’ve been hearing whispers about the exploits of a few individuals from the podcast community that made the pilgrimage this year. Lopez noted that he made the journey to generate more interest among the clustered groups of attendees. “Separate from that, we had one-on-one meetings — planned and serendipitous — with agencies, brands and other media owners,” he added. Also present at Cannes this year were Gimlet’s Matt Lieber, who gave a talk with eBay about branded podcasts, and This American Life’s Ira Glass, who gave a presentation that was introduced by Publicis Media CEO Steve King. Glass also appeared on AdWeek’s Cannes podcast, where he noted that he was having a hard time drumming up interest for the medium. “I’ve been here now for a day, and every CMO I talk to, I’m met with a blank stare when I talk about what’s going on in podcasting,” he told AdWeek. Given the loudness of every other media industry narrative out there, no surprise there. Background reading: The New York Times, Recode, Digiday. Career Spotlight. There are tons of freelance producers floating about the radio and podcast worlds, pretty much in the same way that there will be an abundance of freelance writers floating around New York and Los Angeles. But a freelance life effectively executed is a minor miracle regardless of context, and in that spirit, today’s Career Spotlight dives into one such miracle: Shara Morris, a Southern California–based producer who works with a range of companies. Shara Morris: I’m an independent podcast producer based in Los Angeles. I currently produce Maximum Fun’s Adam Ruins Everything podcast and am developing two pilots — one with American Public Media and another with Panoply. Previously I produced Panoply’s Girlboss Radio and I also produced a Midroll miniseries called What’s Wrong with Me? with Time columnist Joel Stein. My day to day routine really changes according to the project — from pre-interviewing to booking to prepping, to script writing, and editing. Yesterday, for example, I had a brainstorm meeting with one of my podcast pilot hosts and then had a tracking session with one of my other hosts. On another day, I could be pre-interviewing a bunch of potential guests for a show and editing an Adam Ruins Everything episode. That’s the beauty (and sometimes curse!) of freelance. My days are generally mine to create. Because of that, I try to be organized and create as much structure for myself as possible. HP: How did you get to this point? What does your career arc look like — where did you start, and how did you end up in this position? Morris: Radio and podcasting were something that I felt like was part of my life, but I didn’t seriously consider as a full-time career until after I graduated from college. I’m from Houston originally so the summer after freshman year of college I interned for Houston Public Radio, and summer after my junior year I interned for New York Public Radio. After college, I worked in TV entertainment in New York, which I didn’t find professionally fulfilling. So I left my job in January 2013 to attend The Salt Institute for Documentary Studies. When I finished the program, I moved to Los Angeles and began freelancing in public radio and podcasting while working a day job. I had two solid friends when I moved to LA, and one of them asked me if I was interested in hosting a radio show at a pirate radio station in Chinatown called KCHUNG. She was co-hosting it but needed to leave to focus on grad school and her co-host was leaving to go on the world tour of Barbie: The Musical (Los Angeles! Naturally!). So all of the sudden, I had graduated from this radio documentary program and had an hour time slot at this pirate radio station to make whatever I wanted. It was so exhilarating. I asked a good friend to co-host a show with me, which became a podcast we created called Homemade News. Eventually, my friend and I, as Homemade News, began freelancing our pieces to various public radio stations: KCRW, The California Report, Only a Game, and more. And because of that experience, I learned how to pitch my own radio stories. I went full-time freelance in radio, began making my own pieces, which became part of my portfolio for when I was applying to podcasting jobs with networks like Midroll and Panoply. I’ve pretty much been doing that ever since. HP: How did you learn to do the job that you do today? Morris: Salt was an amazing opportunity to really hone my skills as a radio producer. Michael May is a fantastic teacher and he really pushed me to think about storytelling in a different way. I’ve also kept in touch with some of my Salt friends who have been wonderful teachers, collaborators, and editors as well. Throughout my years freelancing I’ve also worked with incredible editors along the way who have really given me invaluable editing and career advice. As a freelancer, there’s also so much that I’ve learned on the fly. I just read Clare Toeniskoetter’s Career Spotlight who really touted “fake it ‘till you make it” and could not agree more. There have been so many scenarios where I’ve felt like I had no clue what I was doing, but I just had to play the part. Even going freelance, I had to convince myself “I am a podcast producer.” Once I took myself seriously, other people did too. There’s also something to be said about letting yourself experiment with audio. Homemade News felt like a place where I could create audio when no one was watching. I think it gave me the confidence in my voice and my ability to try new things with content and sound. HP: When you started out, what did you think wanted to do? Morris: I think my idea of what I wanted to do has shifted. When I was working on Homemade News as a hobby, I had wanted it to make it a full-time job. I’ve also wanted to work on highly produced existing shows. I think being open about your career can only bring you opportunities. Midroll has a new VP of finance and strategy: David Murray, formerly a finance business partner at Midroll’s parent company, EW Scripps, where he helped oversee Scripps’ digital businesses at the local and national level. POSTED June 27, 2017, 10:43 a.m.
Quah, Nicholas. "In PRI’s Studio 360, Slate gets its first podcast that’s also a big public radio broadcast." Nieman Journalism Lab. Nieman Foundation for Journalism at Harvard, 27 Jun. 2017. Web. 19 Apr. 2019. Quah, Nicholas. "In PRI’s Studio 360, Slate gets its first podcast that’s also a big public radio broadcast." Nieman Journalism Lab. Last modified June 27, 2017. 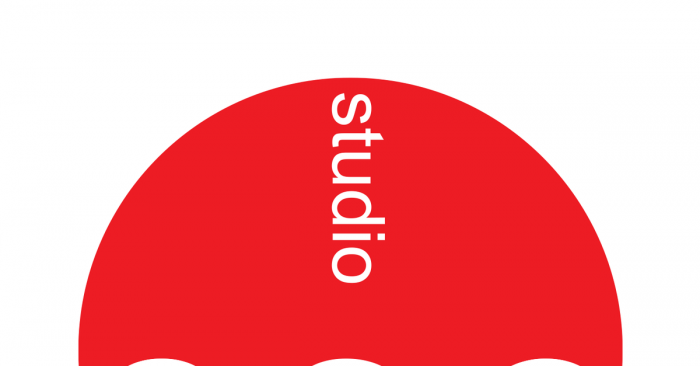 Accessed April 19, 2019. https://www.niemanlab.org/2017/06/in-pris-studio-360-slate-gets-its-first-podcast-thats-also-a-big-public-radio-broadcast/.